There’s nothing better than a happy, healthy dog. However, those treats you’re feeding them might just be making them feel a little down. Mass produced dog treats can often be filled with preservatives and nasty fillers that you don’t want your dogs snacking on. Choose to make your own instead! By baking your own dog treats, you can ensure that your dog is eating something that is 100 percent natural. You’ll have piece of mind that your pooch is getting a healthy snack that they actually enjoy without any unwanted chemicals. Here is a handful of recipes of all natural treats that will leave your dog begging for me. Carrot and banana dog treats are great for pooches (and owners) who crave a healthy treat. 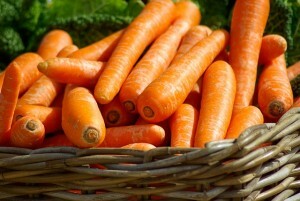 Carrots are loaded with vitamin C and fiber. Perfect for any doggy diet. Check out the full recipe here. 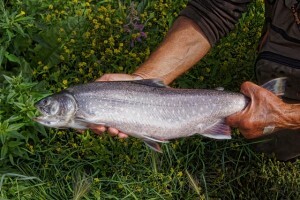 Looking for a fishy treat for your pup? Try salmon and sweet potato snacks for you dog. These treats are great for senior citizen dogs as all of the ingredients are easily digestible. These ingredients are loaded with Omega 3 fatty acids, which will give your dog a shiny, healthy coat, and awesome immune system. Find out how to make the yummy dog treats here. Look for an all-natural way to clean your dog’s teeth? Look no further than apple slices. When added to dog treats, apple slices have several health benefits for your canine. 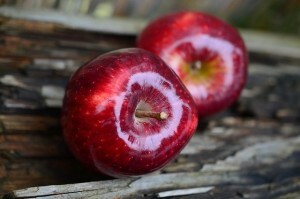 Loaded with vitamins A & C, apples are a yummy way to improve your pet’s overall health. Here’s a great recipe for including apple slices in your dog’s treats. 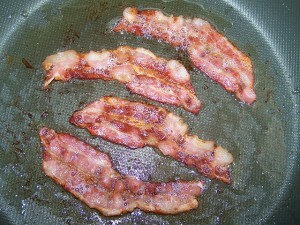 Who doesn’t love bacon? Feed it to your pups in a treat loaded with peanut butter to average out the health benefits. While bacon is filled with protein, the peanut butter has a host of health benefits such as vitamins, minerals, and fatty proteins. Try the combination for a scrumptious dog treat. 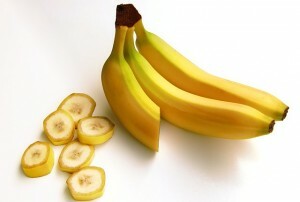 Bananas are rich in potassium and vitamin C, which are very beneficial for dogs. Loaded with sugar, swap in bananas for any sugar products when making dog treats. They are a healthier option, and will keep your pup licking is lips. Check out the recipe here.